by piggybacking on laser pulses that routinely track the spacecraft. which is commonly used in CDs and DVDs. 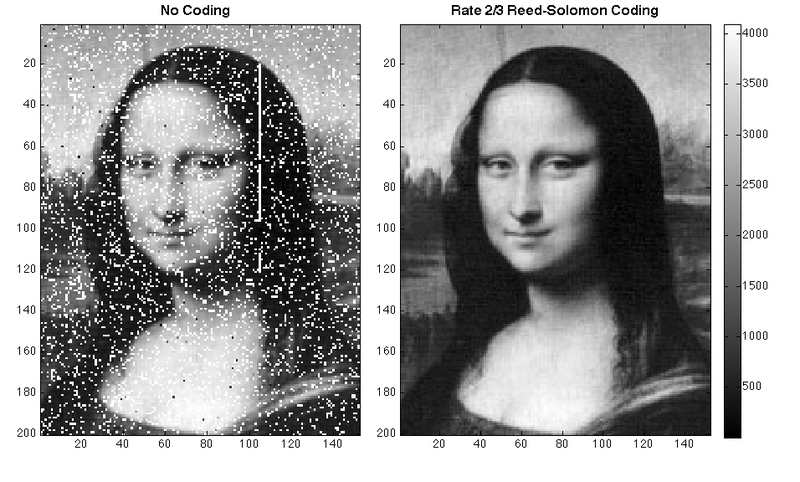 Typical errors include missing pixels (white) and false signals (black). The white stripe indicates a brief period when transmission was paused. the way we move tons of data from orbit to ground and all around the solar system.